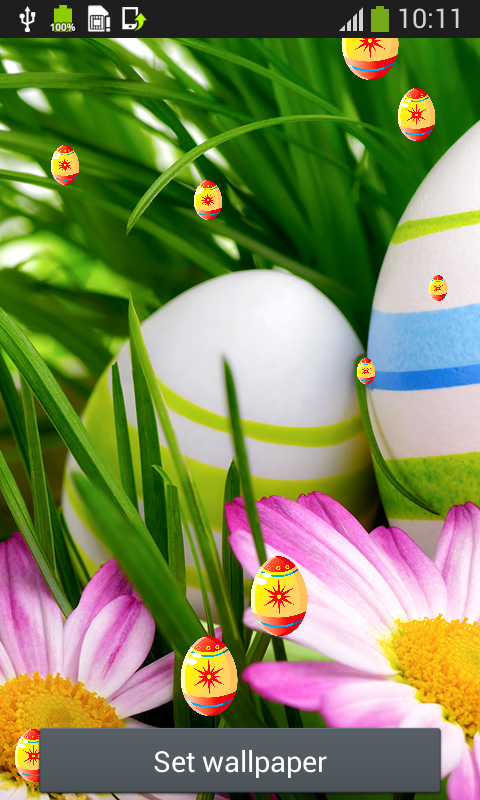 Be ready for the happiest holiday in the year and get the most amazing photos of painted eggs thanks to the latest Easter Live Wallpapers. 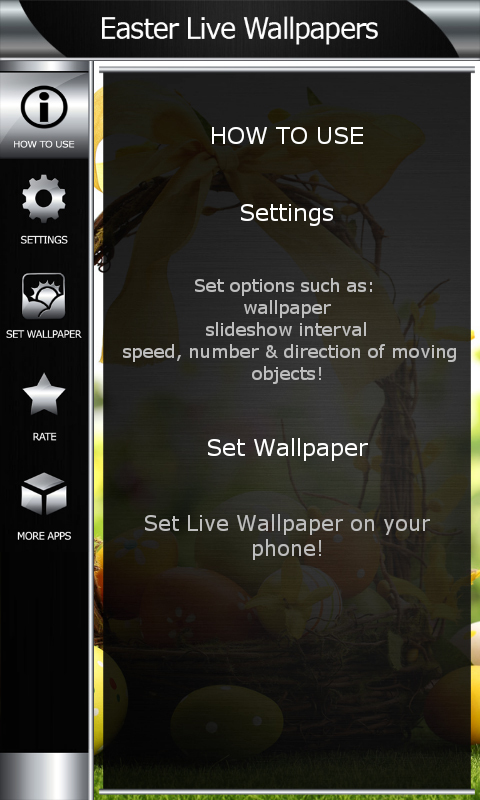 You can have a festive atmosphere on your smartphone or tablet just by downloading the popular backgrounds. 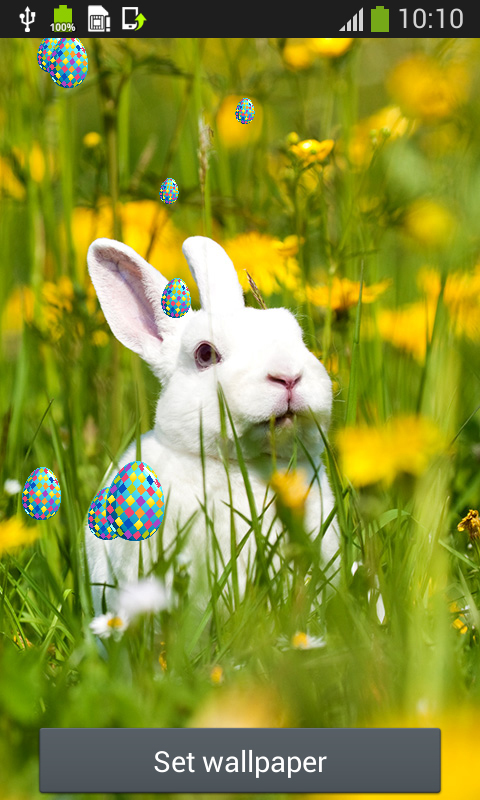 The cutest white rabbit smelling the basket of eggs will bring a smile to your face every time you unlock your device. 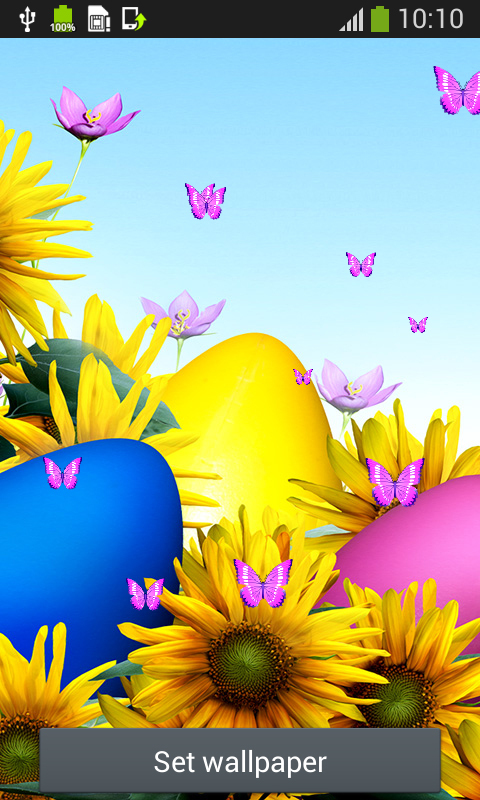 Download free Easter Live Wallpapers app and enjoy the beautiful holiday. The meadow filled with dandelions will help you relax. Get the feeling of serenity and calmness by looking at the photo of a gorgeous spring day. 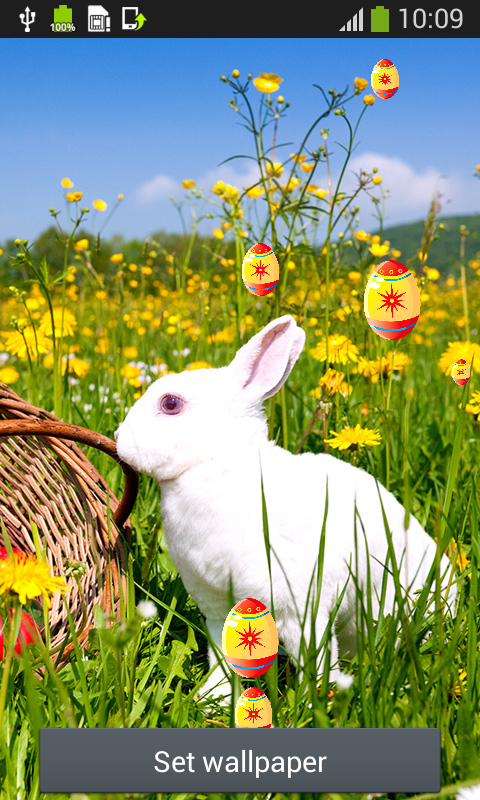 Take a walk and pick up the colorful wildflowers to decorate your house for the best holiday in the whole year. You can also choose among various moving effects to make your device cool. 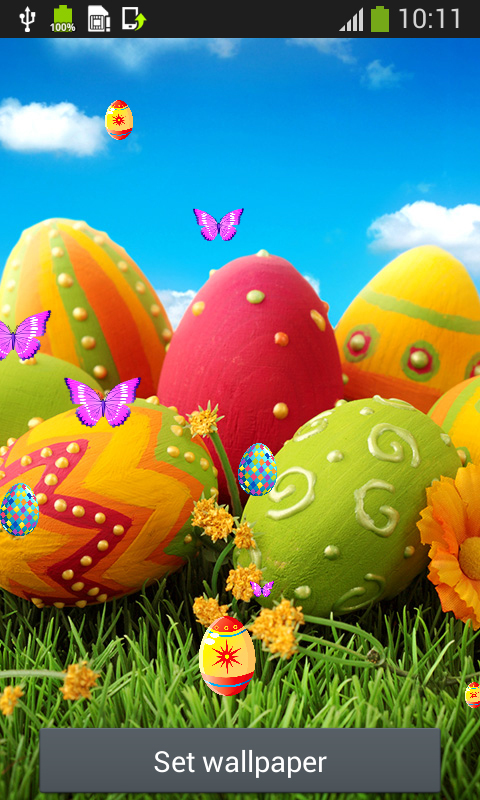 Set eggs decorated with ribbons to slide up and down your screen or you can have a purple butterfly fly around and make you joyful. The sparkling stars will guide you through the dark.